Home / Same Day / Sunshine, Tulips, Easter Eggs, Oh My! 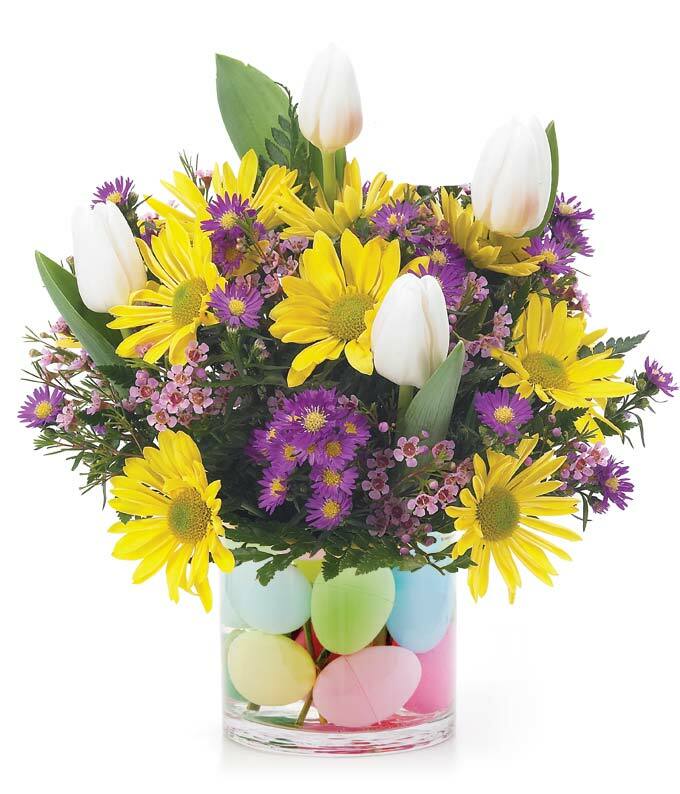 This colorful arrangement of daisy poms, tulips, monte casino and waxflower arranged in a clear glass vase filled with festive Easter eggs is the perfect way to celebrate Easter. Imagine the surprise and delight your recipient will feel when a local florist delivers this unique arrangement to their home! Measures 11"H by 9"L. Vase and Easter eggs featured in photo may vary depending on local florist's availability.